W. K. Anderson is a freelance historian and a poet. He has a PhD in history from the University of Melbourne and is a Research Associate in the Arts Faculty at Monash University. 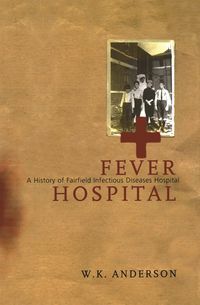 His books include Fever Hospital: A History of Fairfield Infectious Diseases Hospital (MUP 1998), James Connolly and the Irish Left (2nd edn 1997) and On Western Lands: A History of Hampden Shire (1996).